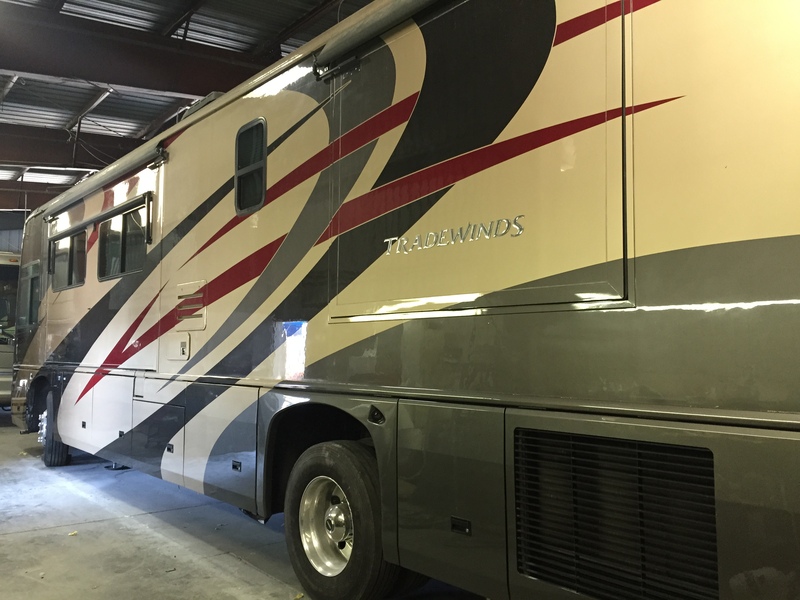 The owner of this beautiful Tradewinds RV had traveled many miles without any problems with navigating this huge vehicle around obstacles until towards the end of one very long day of driving cross country. 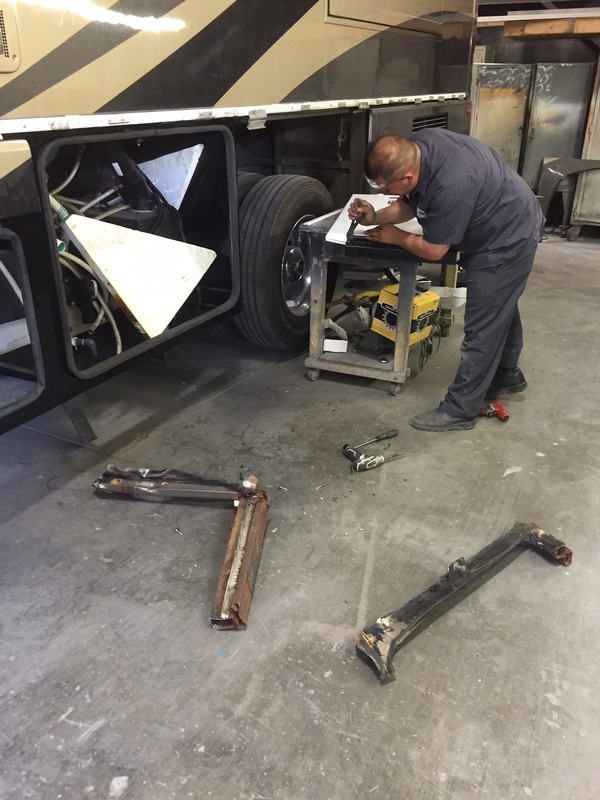 He was running low on fuel and needed to get diesel before a short drive to his destination for an extended stay at his favorite resort in Yuma Arizona. 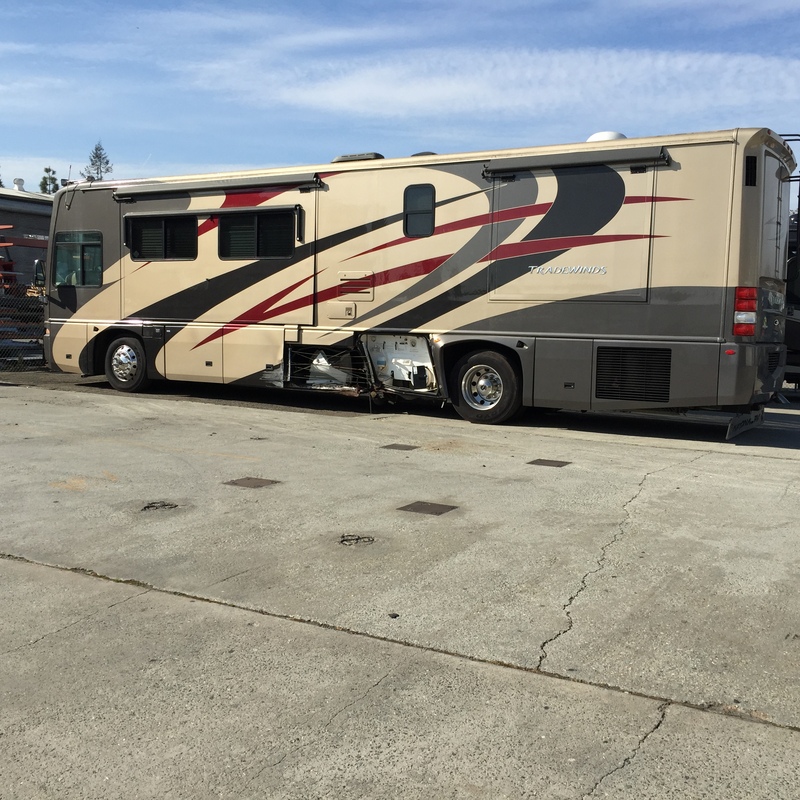 After fulling his tank everyone got into the RV and the owner ran through his check list to be sure he was good to go. As he pull away from the station, he had to turn sharper than planned to avoid a car that rushed in front of him to get to the nearby gas pump. 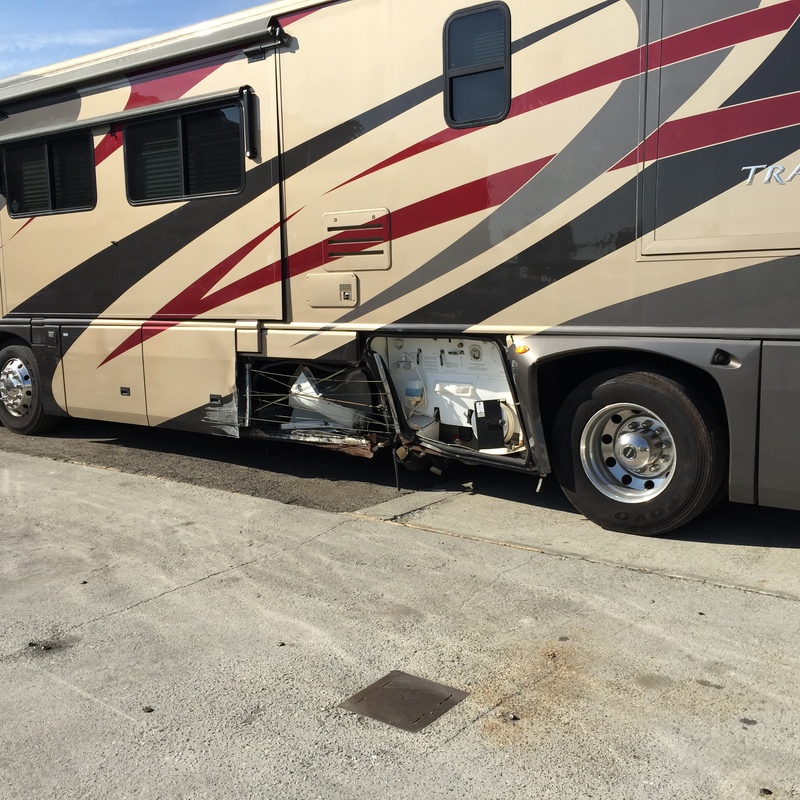 After stopping, the owner continued to pull out, but suddenly heard a terrible crunching, screeching and grumbling nose coming out from this side of his RV. Looking into his mirror with terror, he could see that he turned into a short metal pillar. 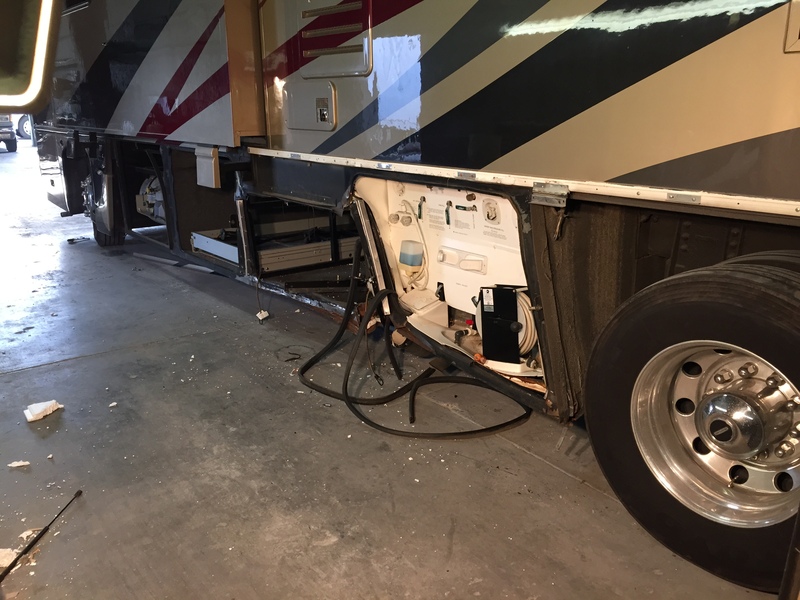 Fortunately no one was hurt and he could continue driving and operating his RV. 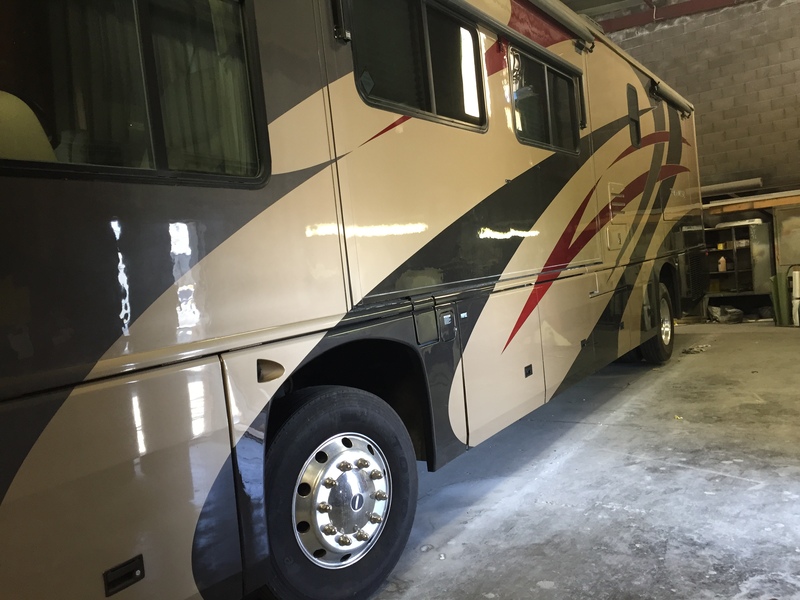 On his way home, the owner delivered his Tradewinds RV to Alamden RV for repairs because many of his friends heard great things about that shop and his insurance agent also recommended to call the shop and talk to the owner Chris Caprino. 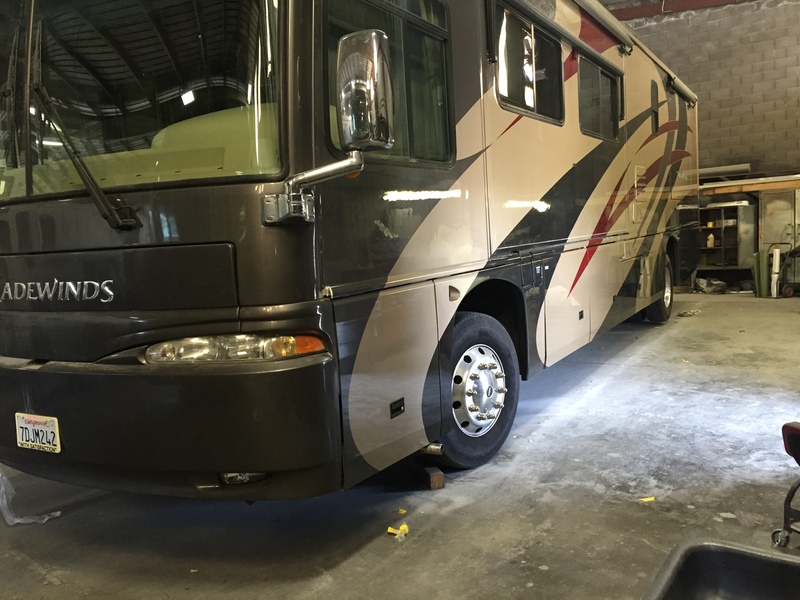 Ramirez has been doing body and paint all of his life and loves working on RV’s. He said this job was very involved due to the reconstructing the compartment frames, boxes and compartment doors. Paint matching is also crucial as each factory paint color can be unique and the effects of time can change the quality of color. 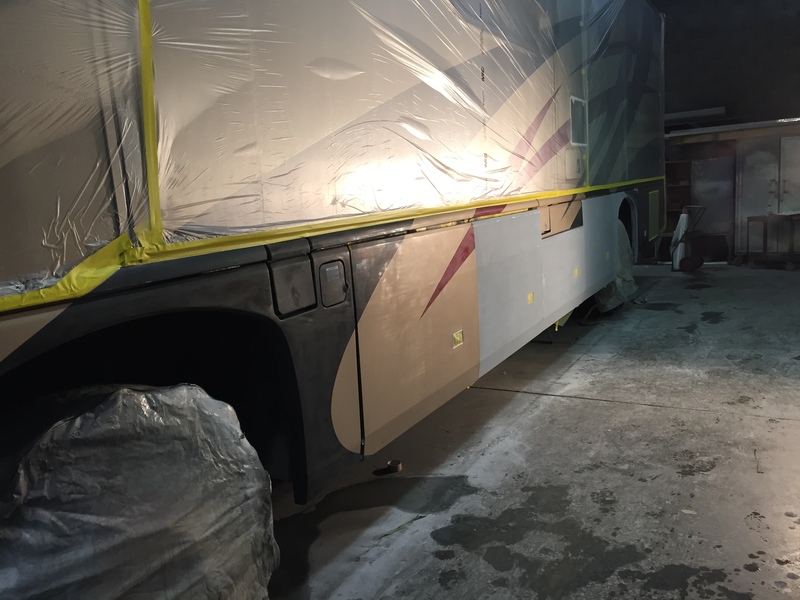 Restoring a major motor home collision like this back to what looks like it’s original condition takes skills that most RV auto body and paint shops don’t have. 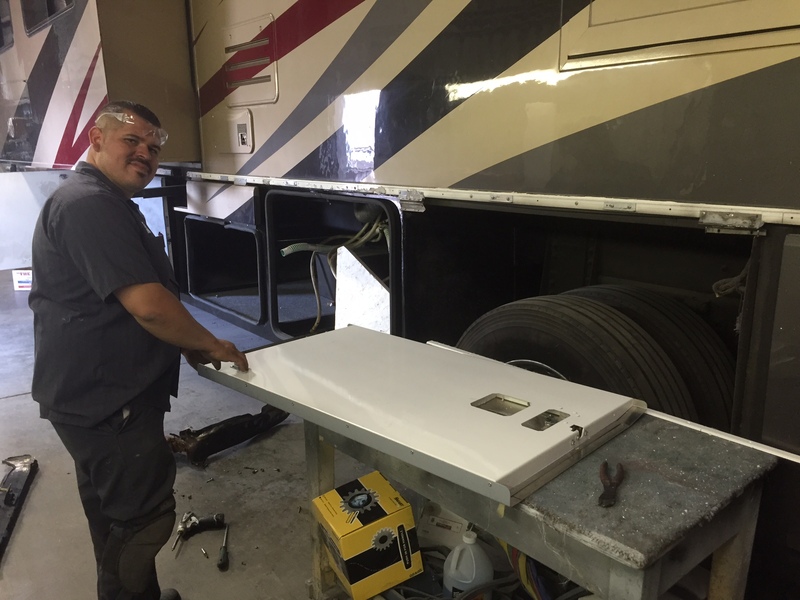 The owner, like most, has an eye for detail and could hardly believe his eyes when the began inspecting the work Ramirez had done on his Tradewinds RV. From the inside and outside of the restored compartments, to their new doors and outside to the multicolored paint job, the owner was not only delighted with the quality of workmanship, but how quick the job was completed. 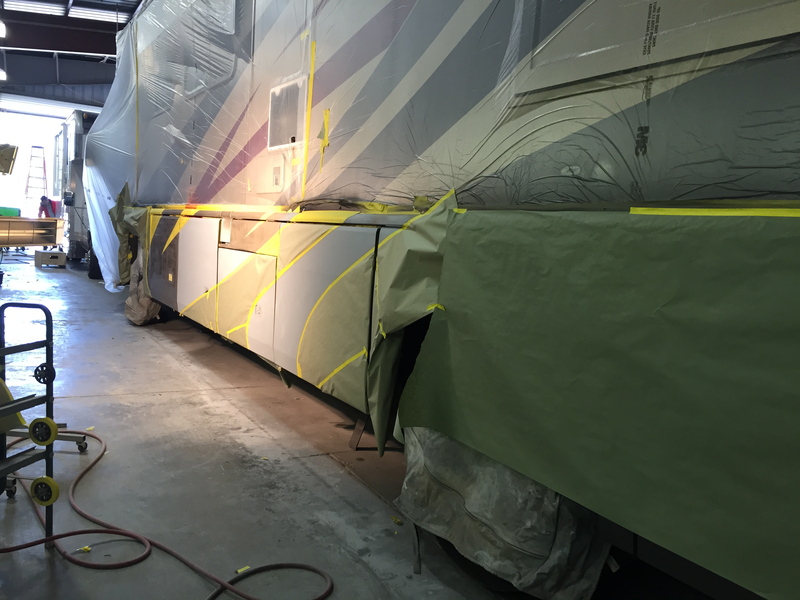 Excellent RV Auto Body and Paint Collision Restoration at Almaden RV Body and Paint Shop in San Jose, CA.